Now shipping with a free dust cover bag for long-term storage and even easier transport. 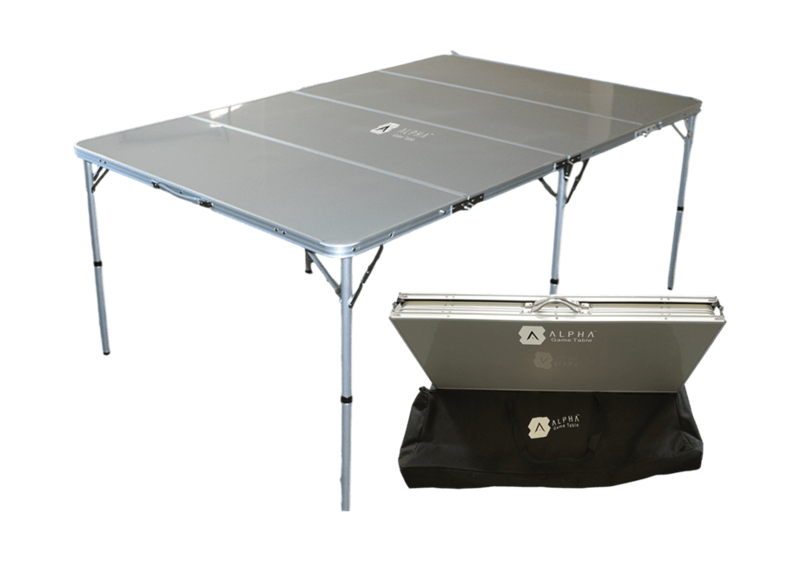 You will receive one Alpha Game Table unit delivered in the Contiguous US. 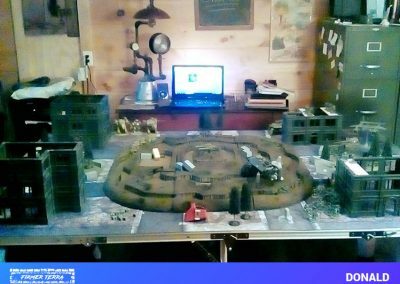 (Alaska and Hawaii please email for shipping costs) Experience the freedom to enjoy your hobby anywhere you can set-up a map. Lightweight, sturdy, and portable. 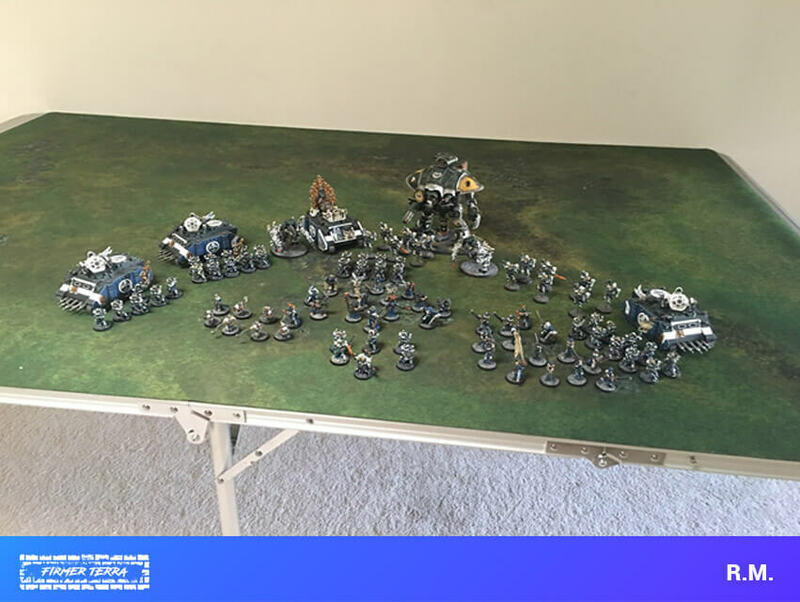 Finally, a surface solution that moves along with your army. SHIPPING INCLUDED IN PRICE. Your ALPHA Game Table comes equipped with additional leg extenders. Using these extenders will give your table optional additional height. Please note: always test the surface for stability and use appropriate caution on this surface. 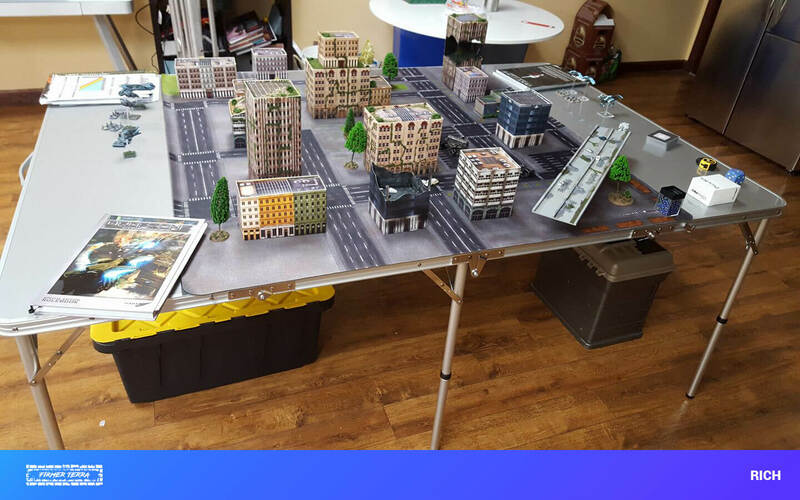 • 4 feet by 6 feet 2” (we made it a little longer in order to accommodate for any 6x4 maps you may want to use. Shipping is included in the cost to all 48 continental US States. We deliver via FedEx insured. No PO BOXES as FedEx will not deliver to such. If you have a military APO please email us first. We do not ship to APO’s durance certain times of the year. We are currently NOT Shipping to Canada as safe delivery costs over 170.00. We are working on this issue. TRACKING INFORMATION: We generally manage to ship out your order on the next business day barring major holiday traffic. Shipping information is available a day after. If you would like a FedEx tracking number please email info@firmerterra.com with your name, order number, and city. 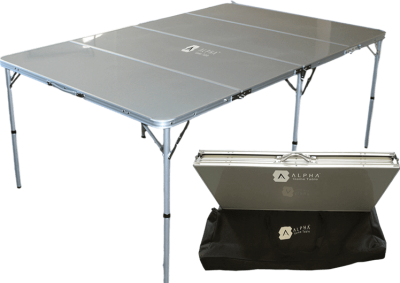 The ALPHA Game Table was designed to support 45 Kilo, or 100 lbs, of surface weight dispersed throughout its area, and any 2 x 2 inch area to support at least 2 lbs. We recommend testing the stability of the unit if you plan on adding more weight (we do not recommend exceeding weight specs). 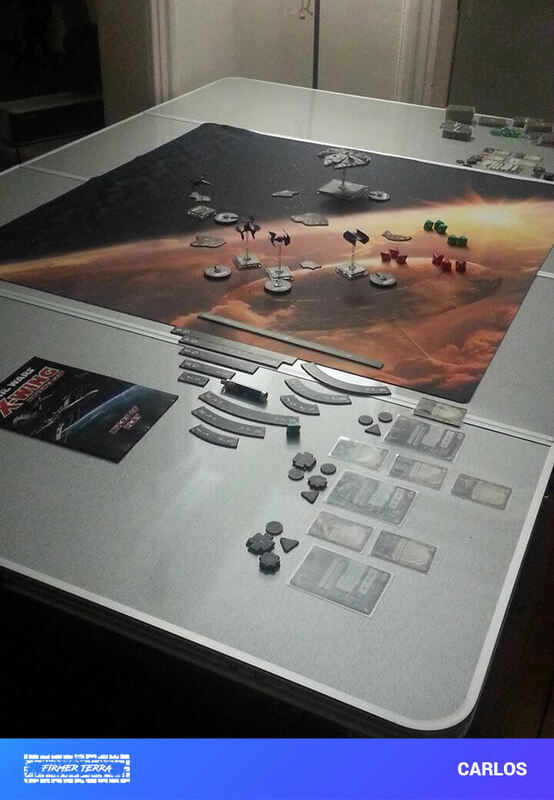 The table is intended for its original use as a play surface for tabletop games. Do not sit or stand on the unit. Always supervise children, pets, when engaging with the unit as excess weight concentrations may cause the unit to become unstable. When not in use fold the table to storage mode. 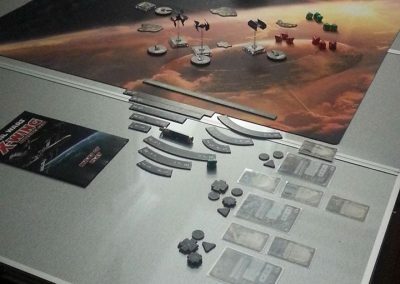 The ALPHA Game Table is a lightweight play surface. Test the stability of the table prior to leaning or jarring the unit. Always make sure that the locking latches are engaged when the unit is being used as a surface or while in storage mode. The unit performs best on flat solid ground (hard floors), always test the stability before playing. 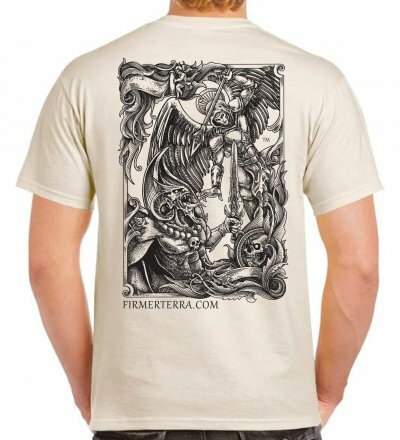 Follow the set-up video on firmerterra.com for any instruction. 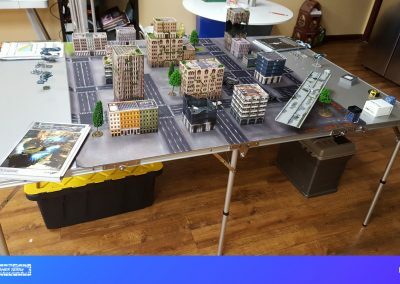 The table is designed to set-up and take down in less than 2 minutes. When flipping the unit to change modes be sure to hold securely at each shorter end with a partner. Attempting to flip this large surface space by yourself may result in damage to the hinges or structure. Make sure to be clear of all hinges when changing modes. The surface of the table is designed of water resistant MDF and aluminum. If the table becomes wet use a cloth to absorb moisture. The table is rated for outdoor use, but prolonged exposure to sunlight or moisture may damage the unit. The surface may become scratched if not properly handled. Most scratches will not impact the functionality of the unit. For more information go to firmerterra.com. Avoid exposing the surface to hot containers. Avoid exposing the surface to high energy impact. Avoid dragging the table when in play mode. Ask someone to help you lift the unit and move it. Avoid forcing the table during mode changes. All joints should move freely and allow for easily mode change. Be mindful where you play. When in storage mode, be mindful of the table edges and surface. Make certain that the table has been properly converted in each mode and that the joints and surface edges line up properly. Avoid blaming poor dice rolls on the table as subsurface emotional damage may result. Avoid high traffic paths as you are going to block 24 square feet of space. The user(s) assume all liability when using this unit. Exercise common sense at all times. Be mindful of the fact that this is a lightweight structure. 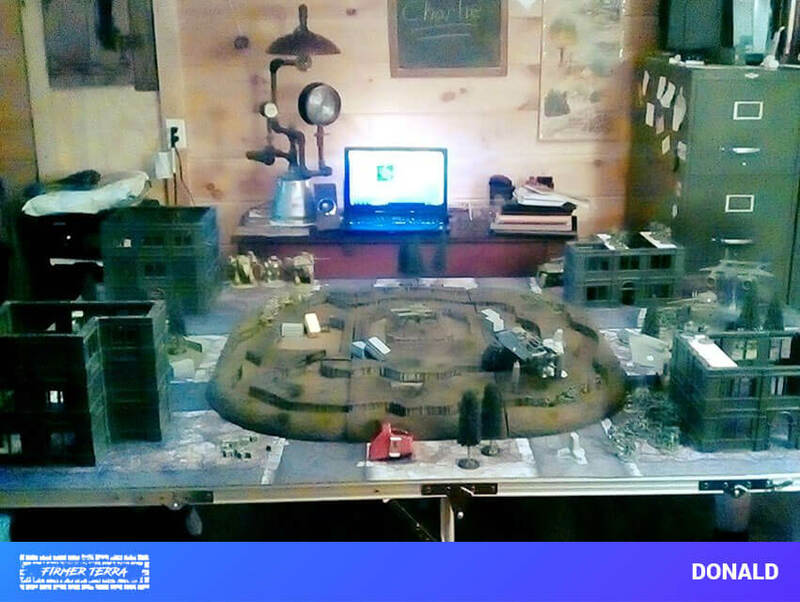 Avoid dangerous environments when playing a game. PLEASE INSPECT YOUR TABLE WHEN REMOVING PACKAGING MATERIALS. AVOID USING KNIVES OR CUTTERS AROUND THE UNIT AS YOU CAN DAMAGE THE SURFACE. NOTE TO OUR COSTUMERS. These are light packages but they are bulky and thus sometimes abused by couriers. We expect about 5% of deliveries to have some type of wear to the packaging. Please inspect the packaging and the contents as soon as you can. Keep the box until you are certain that there is no damage to the table. If you have noticed mishandling damage please email info@firmerterra.com and we will arrange for a satisfactory solution. 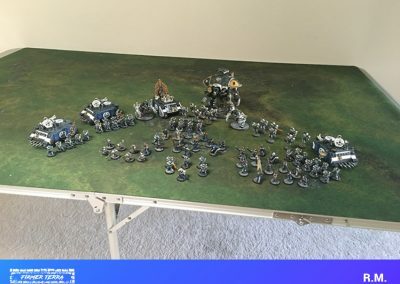 Pictures help. We want you to be happy with your investment, and we want it to serve your hobby needs for years.